My sister who is one year older than me has three kids. She has the youngest one who just turned 2 years old. She never thought that on this last child she has, potty training is way too difficult. I told her that kids are different, she might not have the hardest time potty training the older kids, yet, the last one would be different. I mentioned to her that I am going to send her some GoodNites underwear for her youngest through my balikbayan boxes. I want her kid to feel the comfortable feeling my son sense. Because the product isn’t available in the land of Philippines, I need to ensure she will have enough underwear her daughter that can last until my next box shipment. I’m also thankful that Goodnites Underwear has a coupon that could help me save extra money to buy more than just one package for my sister’s supply. Now she is very excited to try it for her 2-years-old. I even shared her how comfortable it gives to my son when I put it on him. I showed her what girls’ underwear would look like too. My son can sleep the whole night without waking up in the middle of the night because he gets wet beds. In addition, it is very uncomfortable when you co-sleep with your kid who can’t control their gallbladder, just because they are way too young for it. Moreover, not yet ready for the big changes in their lives. Definitely, going to get her the Tinkerbelle limited design so her daughter would also love the cartoon character on the underwear. I also mentioned to her that she can connect with other mothers through GoodNites Facebook page. that is so true, potty training are easy for some and totally easy for others, as I have observed with my three kids. They will go on their own when their ready and there's no use forcing them. So glad there's a product like this to help mothers and kids out. It is very important for kids or babies to get straight night's sleep and good thing there are diapers we can rely on! That's very sweet of you. I think there are some night diaper available now in the Philippines. I hope her supply will last too! I have yet to try this for my toddler. You are a generous sibling. I am sure your sister's kids will like these diapers. Those training pants are good encouragement also for the kids. I remember when I told my son that he is going to use a training pants, he said "Hooray, I am getting big!" this would indeed be a big help to your sister, that looks a great diaper. It's nice! And that looks so comfortable too. Very nice diaper though. I did not have trouble with potty training my girl, but for my boy it was a bit of a challenge. It's good we have those trusty diapers these days! Otherwise I cannot imagine how difficult it would be for moms to get up many times at night to change those cloth nappies. I'm just happy I don't have any problem of my daughter during the potty train and I could buy any diaper though I consider disney character as my daughter's likes it. that's pretty neat underwear for kids they will be comfortable esp at night. I'm sure your sis will be more than glad to have these diapers, so generous of you. I've also heard that Good Nites is really a good brand and it's perfect for the kids! potty training is a tough trick to some kids. glad that with my three kids, i didn't encounter any problems. That extra coupon is a great help to you. Nappies is a great gift to mommies and daddies, making baby dry and sound at sleep while parents are doing their stuff. That is such a kind and sweet gesture from you. 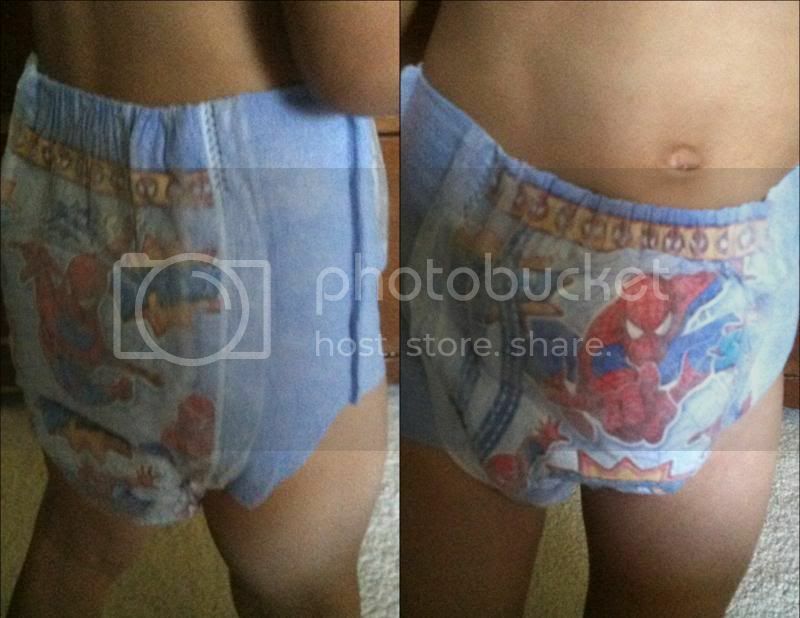 Diapers make life more convenient for paresnt and babies themselves. Looks so cute!! Our niece would love wearing one! You are so thoughtful, God bless your good heart.